We’ve partnered with global brand Henkelman to bring you vacuum packaging equipment that’ll boost your business. It’s one more way we’re giving our customers access to world-class technology. As a butcher, electricity is one of your biggest costs. Here are three ways to conserve energy and save money. Everyone’s idea of the perfect braai is different. Use Freddy Hirsch spices to create braai dishes that excite every palate. We at Freddy Hirsch love a great burger, so we came up with the Rustler range. These high-quality products are guaranteed to impress even the pickiest of burger lovers. Not everyone is a braai master, but even a beginner can look like a pro with a bit of help. This guide will help you create the perfect braai in five simple steps. There are rules in the meat industry and we have to obey them to play the game! In this short article, we unpack the facts to help you get a better understanding of what you’re buying. Every braai needs a hero. That’s why we released the first ever Heroes® product back in 2012. Since then, the range has expanded to four great products. Here’s everything you need to know. Jan Braai celebrated Heritage Month in style – with a National Braai Tour! As a sponsor of this great adventure, Freddy Hirsch has all the details on an epic week of flavour and culture. We’ve found fresh ways to boost your food business. Our new What’s Cooking™ products bring more flavour and convenience to you and your customers, right in time for peak season. South Africans can’t wait to celebrate our culture and diversity on Heritage Day. To prepare for the big braai, Freddy Hirsch sat down with Jan Braai himself. The Tongmaster had plenty of tips and tales to share! Freddy Hirsch and the Cleaver Awards are helping raise the standard at butcheries across South Africa. Here’s all you need to know about the 2018 edition of this great initiative. We partnered with Jan Braai on his tour of Namibia. Here’s all you need to know about this fun and exciting collaboration. 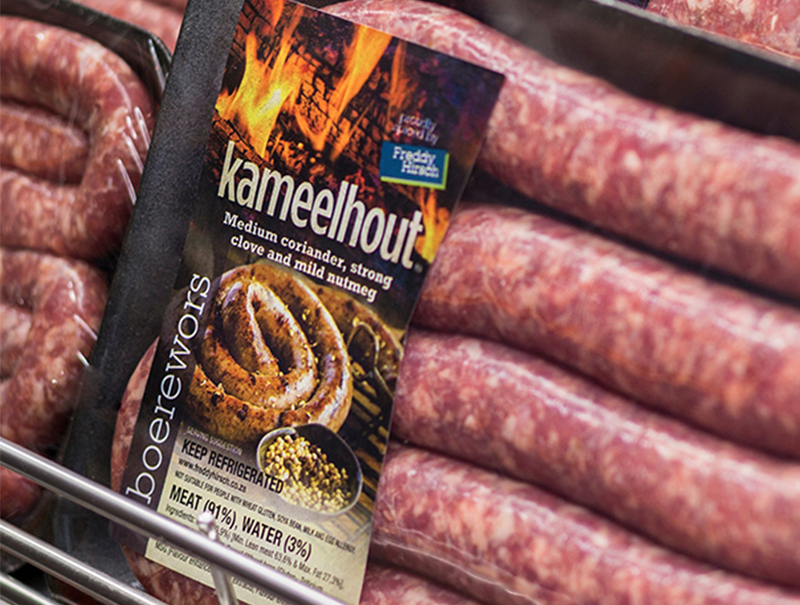 Go wild with biltong and droewors this Hunting Season – with Freddy Hirsch online. Stock up on spices and your favourite Freddy Hirsch supplies. It’s never been this easy – see how with our brand new online shop! We’ve sharpened up to give you our best Bandsaw yet. The new Freddy Hirsch 112” Bandsaw has four key features that will help you stay ahead of the competition. We’ve launched our Kitchen! Welcome to your hub for training, demos, and sharing ideas. It’s that magical time of year. Create your favourite dishes with our Majiek Spice – the seasoning that does it all. Freddy Hirsch is ready for international rugby season and we’re helping you get into the mood. Here’s how! Pork is different to other red meats, so it needs a unique spice product. Wiltshire Pork spice is here and this is everything you need to know about it! From quality knives to specialised cabinets, here are five pieces of equipment that you need to master biltong-making at home. The Freddy Hirsch Group is joining forces with Carte Blanche to raise funds and awareness for the Tygerberg Children’s Hospital. 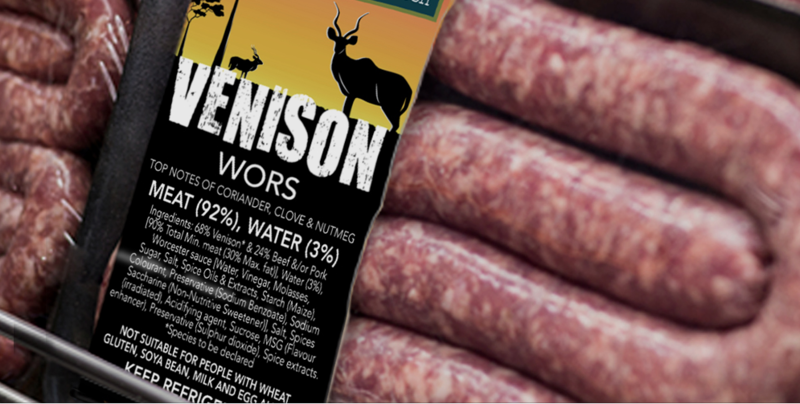 All the juicy details about Venison Wors Spice — another great-tasting product from your favourite family of flavour. Do you have your Freddy Hirsch Cash & Carry Smart Card? Here’s how we’re innovating so that you can make the smart choice and enjoy the benefits. There’s a global trend towards convenient, easy-to-prepare meals that are as delicious as if they’d been cooked from scratch. Use our meat block calculator to work out the cost of your sausage products – it’s costing made simple. Download it now for free! The biltong-making skills have been passed down through the generations, from the Great Trek to today. Get answers to your product questions with our sensory evaluation centre. No question is too big or too small. Home Meal Replacement (HMR) is about more than providing customers with convenient meals. Discover some HMR trends that your business can take advantage of! Our top two picks for end-of-day dishes that your customers will love. Winter and comfort food go together like spaghetti and meatballs. This season, find out how winter warmers can be deliciously filling – and healthy at the same time. Breading creates crispy food that looks and tastes great. Discover how breading, done our way, is also good for business. Our take on the kind of customer service that boosts performance. Use our guide to lamb cuts to help you get to know your chosen meat. Use our guide to pork cuts to help you get to know your chosen meat. Use our guide to beef cuts to help you get to know your chosen meat. The impact Freddy Hirsch has had on the red meat, poultry and meat processing industries can only be considered by looking at the past sixty years of the industry growth and development. There are numerous advantages to choosing a complete pack, perhaps most importantly a reduction in costs of ingredients, wastage, labour and storage. In addition, human error is minimised and you can expect a consistent quality and flavour from batch-to-batch, day-to-day and month-to-month. Just what is the impact of casings calibration on pick-up price? Questions and answers - labelling your products. South Africa's top butchers are worth their beef.